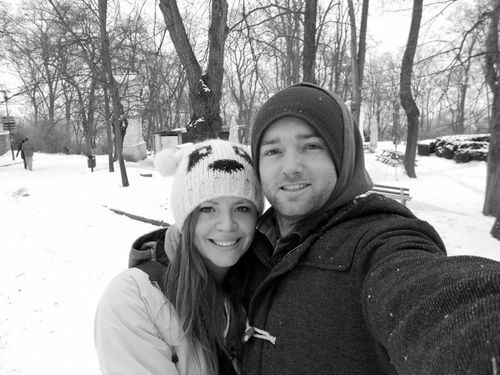 In the photo below is me (Hannah) and Zak last February in a very chilly Prague. Two years before this photo was taken we met in another chilly town called Whistler in Canada. Since Whistler we’ve bounced around the world soaking up new sights, cultures and experiences. We’ve lived in Zak’s home town of Melbourne and we’ve spent the last 18 months living in my home, London. This is where Pizza Wagon was born. On an unusually sunny day last October, Zak, my dad and i were sat outside a cafe in Muswell Hill in London and we got to talking about the boom of mobile food vans in London. My dad mentioned that when he was a youngster he’d seen a mobile pizza van in the South of France and he’d always dreamed of starting one up. Feeling inspired and full of ideas we went home and started writing a business plan. A little over a year later we are now back in Melbourne and in a couple of months we plan to be hitting the streets selling wood fired pizza from our gorgeous 1977 Citroen ‘H’ van. We’ve decided to keep a blog to recap our journey so far and to share what ever ups and downs we have ahead of us. So here’s to a happy future filled with delicious pizza!